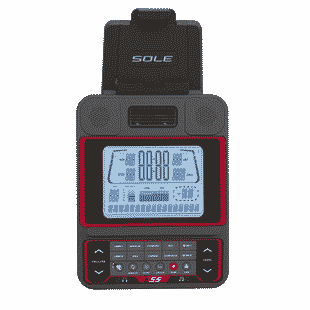 SOLE proves big things come in small packages with the E55. 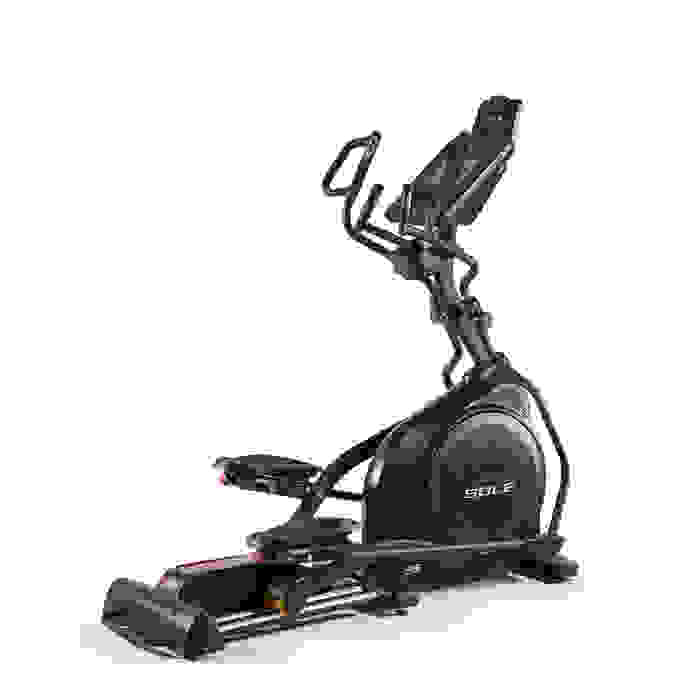 This lightweight compact machine does everything ellipticals twice it’s size do. All the benefits and features of the E95 in a smaller more compact designed elliptical. 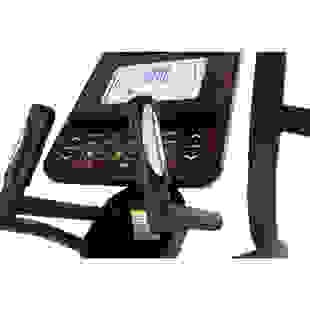 The large easy to use LCD blue backlit electronic console has all the features of a health club model and includes a built-in cooling fan and water bottle holder. The console also has built in speakers which allow you to hook up any MP3 player(iPod, etc.) for easy listening. 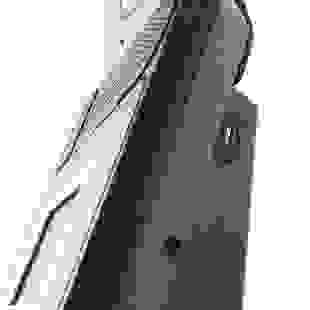 Fluid natural motion provided by a whisper quiet drive system. Functions in both forward and reverse motion. The combination of a heavy 20 lb. 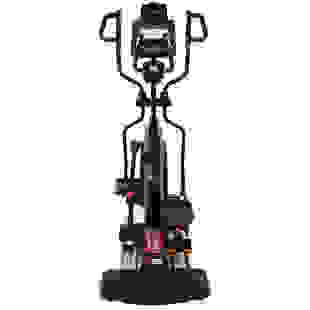 flywheel and a high gear ratio not found on comparable models means an extremely smooth feel with plenty of resistance at the top end for a machine that will provide a challenging workout. 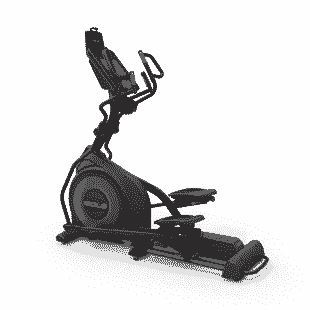 The E55 also has a power incline feature which offers additional resistance as well as variable positions for diversity in your workout at the touch of a button. 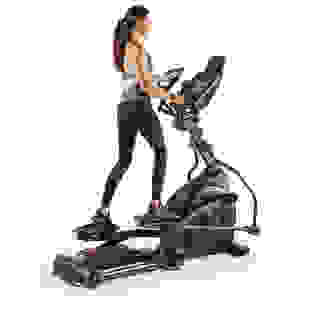 The ramp angle is fully adjustable from 0 to 20 levels of incline, allowing you to individually target and work all major lower body muscle groups. Upper body exercise provides a total body workout. 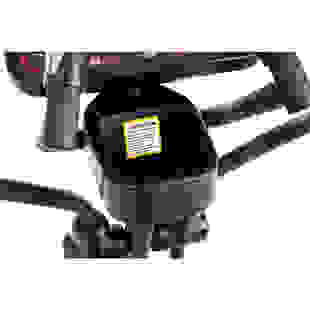 Incline and resistance controls are also integrated into the handles for convenient use. 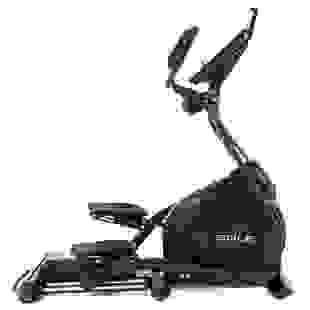 Oversize foot pedals for a comfortable workout. These unique foot pedals were designed in collaboration with a leading physical therapist and sports enthusiast. 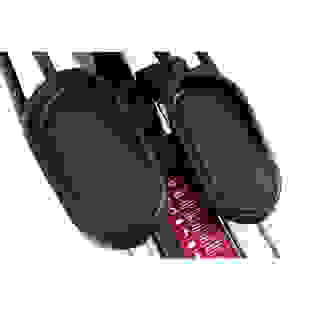 Sole engineers have designed a 2 degree inward slope to the foot pedals which reduce ankle and knee stress common in other elliptical machines. 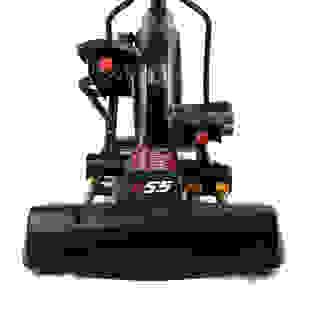 This collaboration also produced a revolutionary foot pedal angle adjustment not found on any other elliptical at any price. 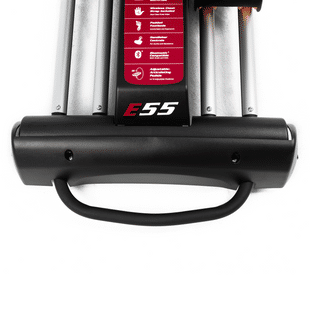 Not everyone walks the same way; for this reason we have made the E55 pedals adjustable to fit the way you walk. Unlike the E25 and E35, this is done with a dial adjustment. 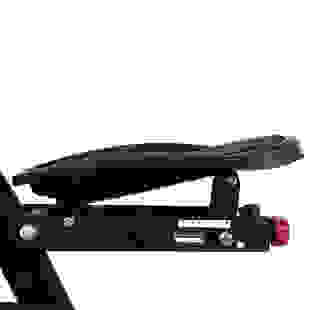 It allows you to angle the pedal from heel to toe, to exactly the setting you want. You can dial in right to the angle that is comfortable for you. 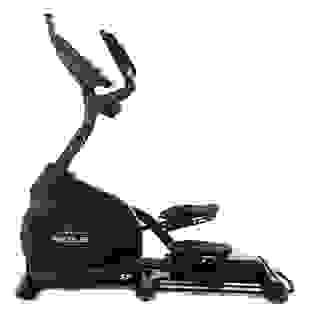 This feature also reduces numb toe effects and sore Achilles tendons, common occurrences on other elliptical machines. *New for this year, the E55 also now includes blue tooth capability. 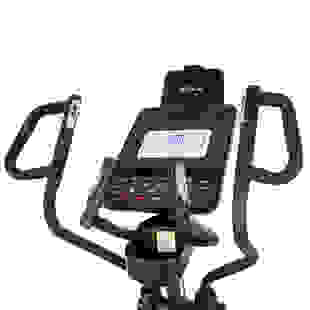 Allowing users the freedom to transfer workout data from their fitness equipment to their smart device. Users can track their fitness info on the Sole app, or have their data be transferred to other compatible fitness apps.